July 2013 – KNBK Seminar in Aruba ! 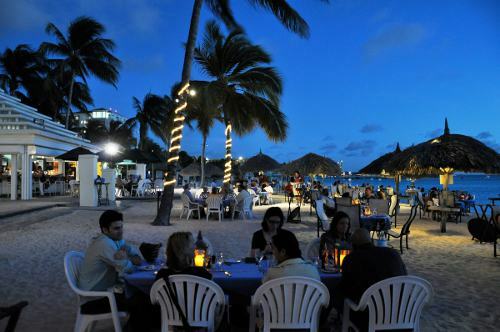 Please come join us in beautiful, sunny and warm Aruba for a 3 day training vacation in the Caribbean islands. Get away in February and treat the family to a weekend in the tropics while you train with your friends and soak in the island sunshine resorts. Muso Jikiden Eishin Ryu Iaijutsu of Aruba is once again proud to welcome Carl Long, Kyoshi, chairman/sohihan of the KNBK, for his return for a weekend seminar on authentic classical Japanese sword arts. 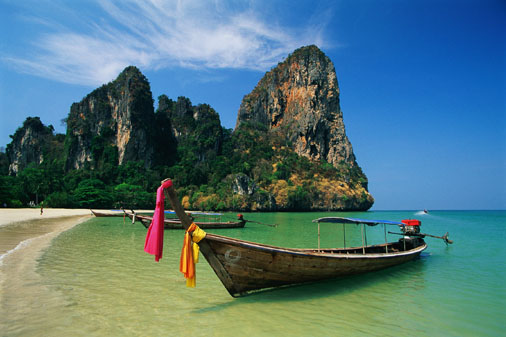 We also welcome you to join us for what will certainly be weekend of instruction of extremely high caliber. 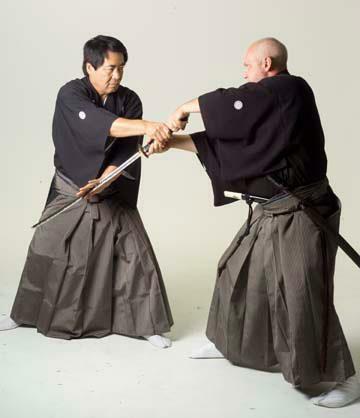 Sensei will provide instruction in the koryu traditions of Muso Jikiden Eishin-ryu Iaijutsu and Ono-ha Itto-ryu Kenjutsu. While access to instruction in the koryu sword arts is slowly becoming more widely available, instruction at the level that will be experienced during this seminar remains quite rare indeed. It is important to note that Ono-ha Itto-ryu, an art that has directly influenced the more modern arts of Kendo, Aikijujutsu and Aikido, remains almost completely inaccessible outside of Japan. The KNBK is the only source of instruction in the mainline of Ono-ha Itto-ryu in North America! This is indeed a great and unique opportunity to study real koryu! Long Kyoshi serves as the Chairman of the Kokusai Nippon Budo Kai and is the designated successor of Masayuki Shimabukuro Hanshi, the 21st Generation Inheritor of our line of Muso Jikiden Eishin-ryu Iaijutsu. Long Kyoshi is also Hombu-cho of the KNBK Intl. 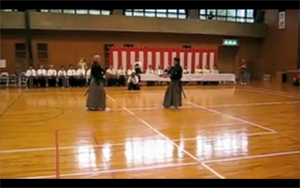 Hombu Dojo and is also the Kenshoin (Inspector/Advisor) of Iaido and Batto-do for the International Division of the Dai Nippon Butoku Kai, the oldest martial arts governing organization in Japan. He holds the grades of 8th Dan, Shorin-ryu Karate-do; 7th Dan, Muso Jikiden Eishin-ryu Iaijutsu; 6th Dan, Shito-ryu Karate-do; 5th Dan, Shindo Muso-ryu Jojutsu; and dan grades in Aikido and Kobudo. Shindokan Dojo is once again proud to welcome Carl Long, Kyoshi, chairman/sohihan of the KNBK, for his return for a weekend seminar on authentic classical Japanese sword arts. We also welcome you to join us for what will certainly be weekend of instruction of extremely high caliber. 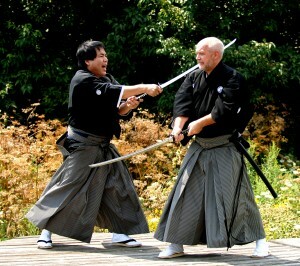 Sensei will provide instruction in the koryu traditions of Muso Jikiden Eishin-ryu Iaijutsu and Ono-ha Itto-ryu Kenjutsu. While access to instruction in the koryu sword arts is slowly becoming more widely available, instruction at the level that will be experienced during this seminar remains quite rare indeed. It is important to note that Ono-ha Itto-ryu, an art that has directly influenced the more modern arts of Kendo, Aikijujutsu and Aikido, remains almost completely inaccessible outside of Japan. The KNBK is the only source of instruction in the mainline of Ono-ha Itto-ryu in North America! This is indeed a great and unique opportunity to study real koryu! An exemplary teacher of authentic Japanese and Okinawan martial Arts, Long Kyoshi serves as the Chairman of the Kokusai Nippon Budo Kai and is the designated successor of Masayuki Shimabukuro Hanshi, the 21st Generation Inheritor of our line of Muso Jikiden Eishin-ryu Iaijutsu. Long Kyoshi is also Hombu-cho of the KNBK Intl. Hombu Dojo and is also the Kenshoin (Inspector/Advisor) of Iaido and Batto-do for the International Division of the Dai Nippon Butoku Kai, the oldest martial arts governing organization in Japan. He holds the grades of 8th Dan, Shorin-ryu Karate-do; 7th Dan, Muso Jikiden Eishin-ryu Iaijutsu; 6th Dan, Shito-ryu Karate-do; 5th Dan, Shindo Muso-ryu Jojutsu; and dan grades in Aikido and Kobudo. Class Times: Friday, March 8 – 6:30 p.m. until 8:30 p.m.
Saturday, March 9 from 10:00 a.m. until 12:30 p.m. and 1:30 p.m. until 5:00 p.m.
Sunday, March 10 from 9:00 a.m. until 1:00 p.m.
OR $140 AT THE DOOR.